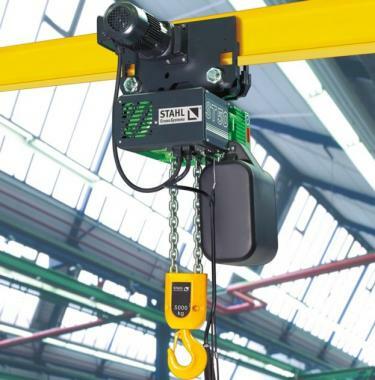 German designed equipment from one of the industries leading manufacturers, Stahl Cranes offer a range of Electric hoists, Overhead Cranes, Jib Cranes and spares to suit. 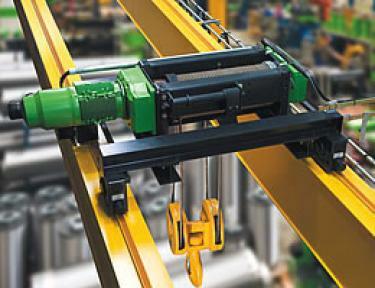 Stahl are well known for their reliability and competitive pricing. Cranes-UK work very closely with Stahl Cranes and can provide some of the best offers on all types of new and used Stahl Cranes and Hoists. Cranes-UK offer Monorail Wire Rope Hoists for single girder applications with Capacities up to 25 Tonnes from Stahl Cranes. The SH range of wire rope hoists features ultra compact dimensions to provide optimum room and clearance when operating in confined areas. 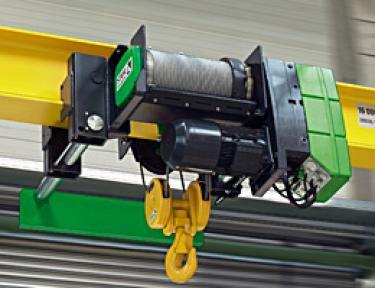 Monorail Wire Rope Hoists can be specified to be used in a static position or with one of the many horizontal travel options, SH Wire Rope Hoists are ideal for replacing an existing overhead crane hoist and provide the option of single or dual speed operation for applications where precision is key. Not only for indoor use the Stahl Single Girder Wire Rope Hoist can be manufactured for operation outdoors with IP66 protection levels that protect the motor and components from the weather, we are also able to offer hoists designed for extreme conditions and explosion proof atmospheres. Double Girder Electric Wire Rope Hoists designed for more intense operation for cranes with two girders, often known as Crab Units, the industrial quality hoists can be supplied with capacities up to 150 Tonnes with single or dual speed capabilities as well as optional extended heights of lift. Our fully competant sales team can provide you with advice and costings on a Wire Rope Hoist to suit your double girder crane, advising on particular models to suit the application such as more confined units for use in projects where there is confined headroom or models with particularly high speeds to increase productivity. All of our Crab Units can be fitted with optional Radio Control Systems which are a popular choice in applications where the operator needs to be a safe distance from the load or to enable an alternative view of the load, often required in applications such as Nuclear, Hydroelectric, and sometimes manufacturing industries. Not only are we able to supply, Cranes-UK can also install your new Double Girder Electric Wire Rope Hoist and provide tailored maintenance packages at competative prices to make your hoisting experience hastle free!